Thomas Charles “Stompin’ Tom” Connors, OC (February 9, 1936 – March 6, 2013) was one of Canada’s most prolific and well-known country and folk singer-songwriters. Focusing his career exclusively on his native Canada, Connors is credited with writing more than 300 songs and has released four dozen albums, with total sales of nearly 4 million copies. Connors died at age 77 in his home in Ballinafad, Ontario. He was born Charles Thomas Connors in Saint John, New Brunswick to the teenaged Isabel Connors and her boyfriend Thomas Joseph Sullivan at midnight February 9, 1936 at the General Hospital in Saint John, New Brunswick. 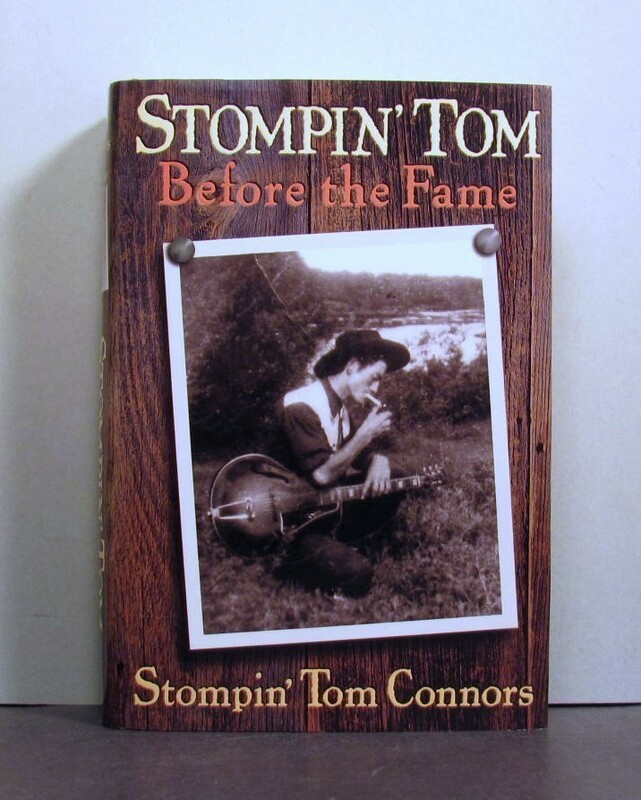 Isabel’s family were Protestant, and his maternal grandfather, John Connors was a sea captain from Boston, Massachusetts who had died before Stompin’ Tom was born. 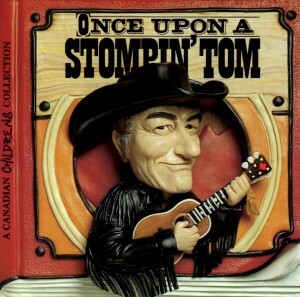 Stompin’ Tom’s father was a Catholic of Irish and French ancestry, and “may have been Métis or … Micmac.” Isabel Connors and Thomas Joseph Sullivan didn’t wed until 30 years later, probably because Sullivan’s family were devout Catholics and didn’t want him marrying a Protestant; they later divorced. Sullivan’s mother gave him $10, and was told to leave home. 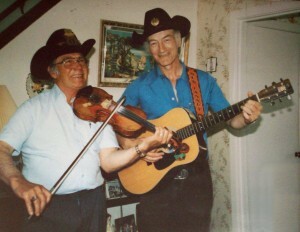 Connors was also cousin of New Brunswick fiddling sensation, Ned Landry. Connors spent a short time living with his mother in a low-security women’s penitentiary before he was seized by Children’s Aid Society and was later adopted by Cora and Russell Aylward in Skinners Pond, Prince Edward Island. At the age of 15 he left his adoptive family to hitchhike across Canada, a journey that consumed the next 13 years of his life as he travelled between various part-time jobs while writing songs on his guitar, literally singing for his supper. He worked in the mines and rode in boxcars, and, in the coldest part of winter, he welcomed vagrancy arrests in order to have a warm place to sleep. At his last stop in Timmins, Ontario, which may also have been his big “break”, he found himself a nickel short of a beer at the city’s Maple Leaf Hotel. The bartender, Gaëtan Lepine, agreed to give Tom a beer if he would play a few songs. 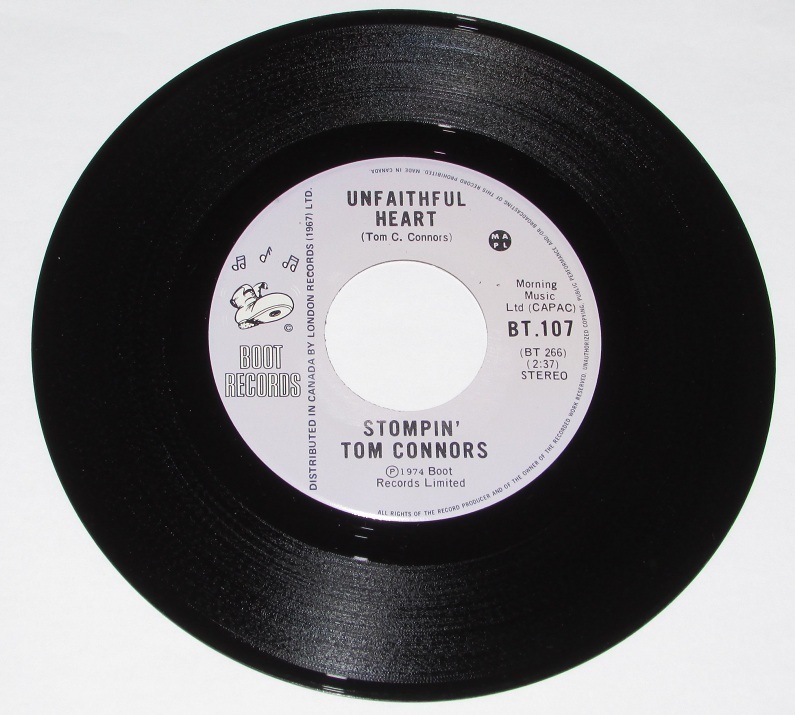 These few songs turned into a 13-month contract to play at the hotel, a weekly spot on CKGB in Timmins, eight 45-RPM recordings, and the end of the beginning for Tom Connors. Connors’ marriage to Lena Welsh took place on November 2, 1973, being broadcast live on Elwood Glover’s Luncheon Date on CBC Television. They chose to get married on television in order, he said during an interview on the show, to share the happiest moment with his fans across the country, whose support had rescued him from a difficult life before show business. 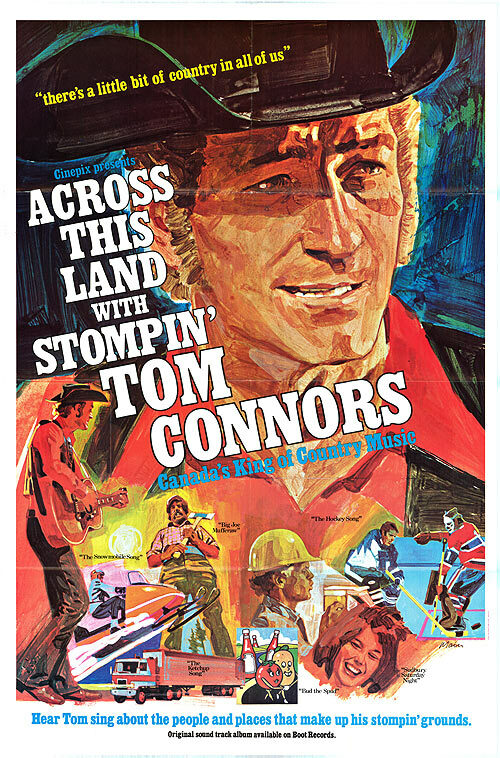 Connors was never part of the Canadian musical establishment, and his style was quite different from other Canadian icons such as Leonard Cohen or Gordon Lightfoot. He could, however, be characterized as a passionist poet within Canadian culture, similar to Milton Acorn and Stan Rogers. 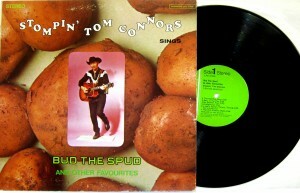 Typically writing about Canadian lore and history, some of Connors’ better-known songs include “Bud the Spud”, “Big Joe Mufferaw”, “The Black Donnellys”, “The Martin Hartwell Story”, “Reesor Crossing Tragedy”, “Sudbury Saturday Night” and “The Hockey Song” (often incorrectly referred to as “The Good Old Hockey Game”); the last is frequently played over sound systems at National Hockey League (NHL) games. Connors’ habit of stomping the heel of his left boot to keep rhythm earned him the nickname “that stompin’ guy”, or “Stomper”. 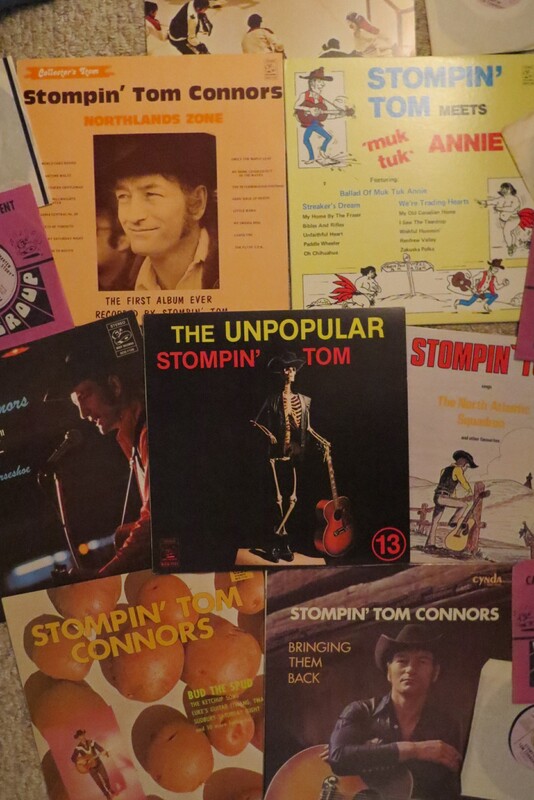 It wasn’t until Canada’s 100th birthday, July 1, 1967, that the name “Stompin” Tom Connors was first used, when Boyd MacDonald, a waiter at the King George Tavern in Peterborough, Ontario introduced Tom on stage. 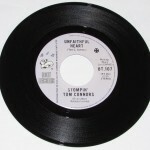 Based on an enthused audience reaction to it, Tom had it officially registered in Ontario as Stompin’ Tom Ltd. the following week. Various stories have circulated about the origin of the foot stomping, but it’s generally accepted that he did this to keep a strong tempo for his guitar playing — especially in the noisy bars and beer joints where he frequently performed. After numerous complaints about damaged stage floors, Tom began to carry a piece of plywood that he stomped even more vigorously than before. 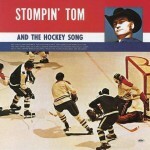 The “stompin’ “ board has since become one of his trademarks. After stomping a hole in the wood, he would pick it up and show it to the audience (accompanied by a joke about the quality of the local lumber) before calling for a new one. 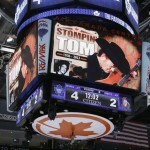 It was reported that when asked about his “stompin’ board”, Tom replied, “it’s just a stage I’m going through”. 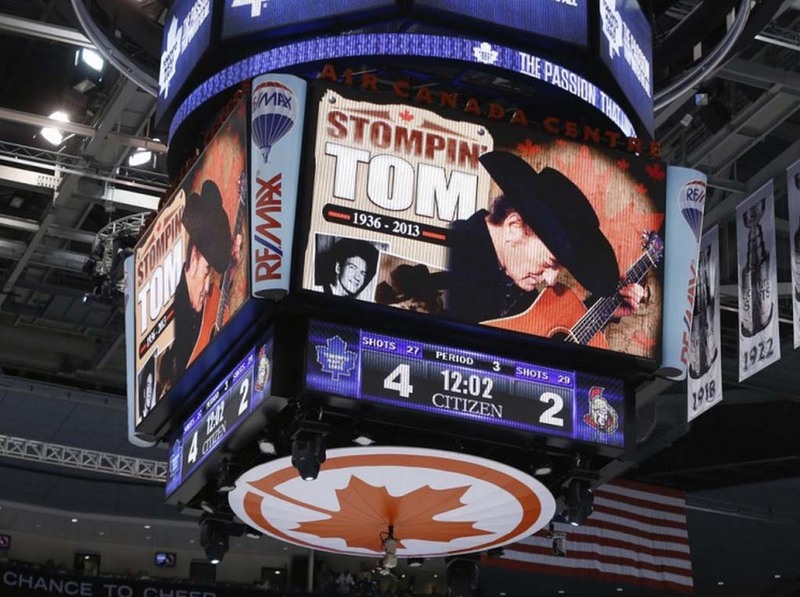 Stompin’ Tom periodically auctioned off his “stompin’ boards” for charity, with one board selling for $15,000 in July, 2011. Connors always wore his black Stetson in public, and refused to remove it for any reason, even when meeting Queen Elizabeth II at a dinner in Ottawa in October 2002. Buckingham Palace smoothed the way by likening Mr. Connors’s hat to a religious headdress such as a nun’s habit or a Sikh’s turban. From the Juno Awards, Country Male Vocalist of the Year (1971–1975) and Country Album of the Year (1974, for To It And At It) — all subsequently returned in 1978. He left instructions that the Junos were not to celebrate him after his death. In 2009, a SOCAN award for Lifetime Achievement. 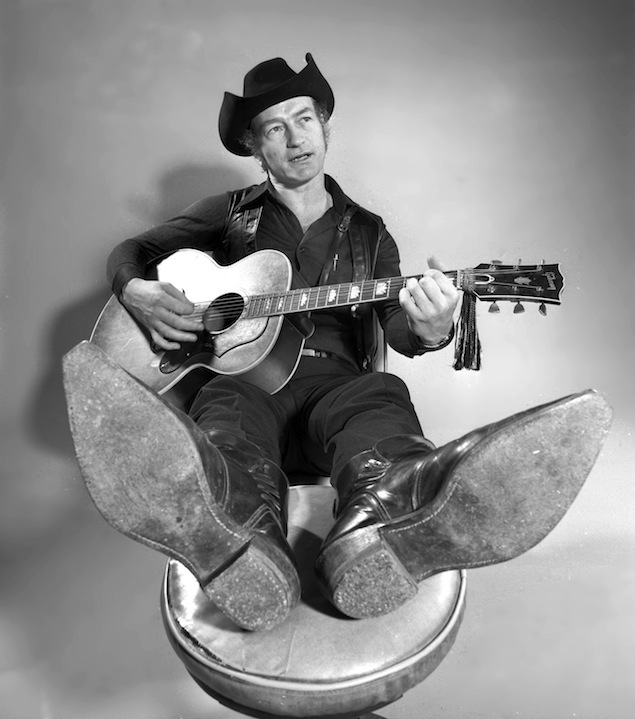 In 1993, he declined to be inducted into the Canadian Country Music Hall of Fame. 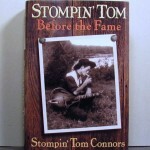 In The Greatest Canadian list, Stompin’ Tom Connors ranked thirteenth, the highest placing for any artist on the list. Connors was one of four musicians pictured on the second series of the Canadian Recording Artist Series issued by Canada Post stamps on July 2, 2009. Connors’ music is rarely heard outside Canada, with the possible exception of his anthemic The Hockey Song which has been recorded by many artists. It has been suggested that Connors refused to allow foreign release of his material, although a more likely reason is that the very Canadian-specific subject matter of many of his folk songs has resulted in limited demand in foreign markets. When Late Night with Conan O’Brien taped a week’s worth of shows in Canada in 2004, Connors was one of the guests of honor, leading the Toronto audience in a rendition of “The Hockey Song”; this was one of the few times Connors performed on American television. Another Canadian-taped installment of Late Night featured a segment in which Triumph the Insult Comic Dog visited Quebec; a parody of Connors’ “Canada Day, Up Canada Way” is heard during the segment. His character was rough but genuine. 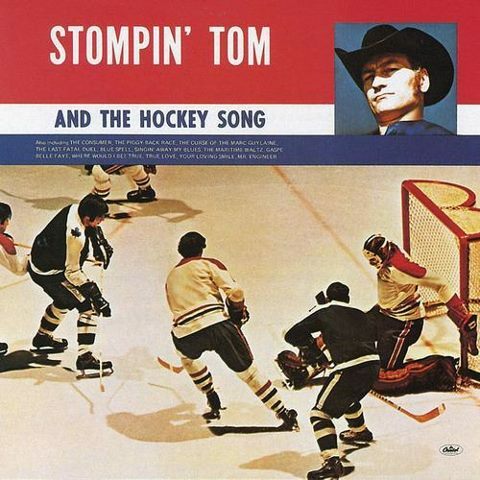 Stompin’ Tom Connors was to Canada what Johnny Cash was to the United States. 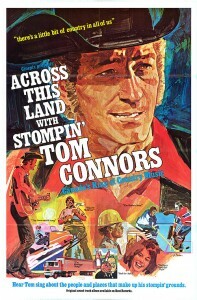 Stompin’ Tom Connors is known as the Canadian Troubadour of Folk and Country Music.